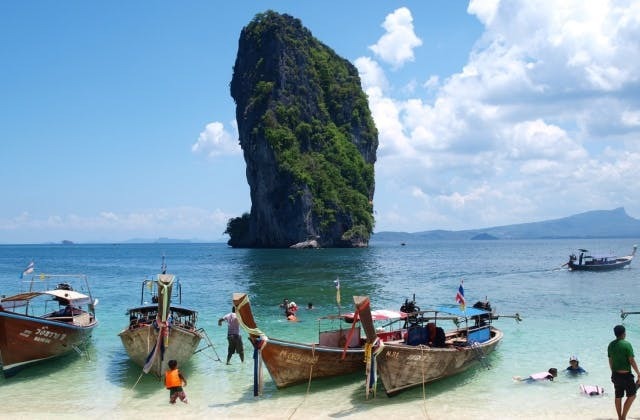 Cheap Flights to Krabi, Thailand. Return Flights. 21 airlines fly into Krabi. They include Turkish Airlines, Cathay Pacific Airways, British Airways, South Winds Cargo, Thai Airways International, Bangkok Airways, Etihad Airways plus more. 46 hrs 10 mins is the longest trip between Krabi and Krabi. Langkawi in Malaysia is the nearest international airport to Krabi.